“Ahh yes… yes yes YES!” our divemaster Amm exclaimed as our small boat cut through the water towards tiny Pulau Kaka, sending schools of tiny fish jumping out of the sea. He pointed in excitement at all the wildlife below, laughing like a kid in a candy shop. “This is gonna be NICE!” he grinned, his wiry brown arms picking up his tank and BCD and slipping it on over his head like a backpack. “All right, everyone ready? Okay let’s go!” And with one final whoop of joy, he sprang off the boat into the sea. Indeed, I’ve never met such an excited divemaster who truly loves what he does, even after so many years. Some divemasters just sort of bob along next to the group, fulfilling their duty but often showing little passion. But not Amm — he’d been in the sea since he was a baby, picking up sting rays with his bare hands, testing out whether a moray eel would bite off your fingertip if you stick it in his face, and diving for lost treasures from shipwrecks. 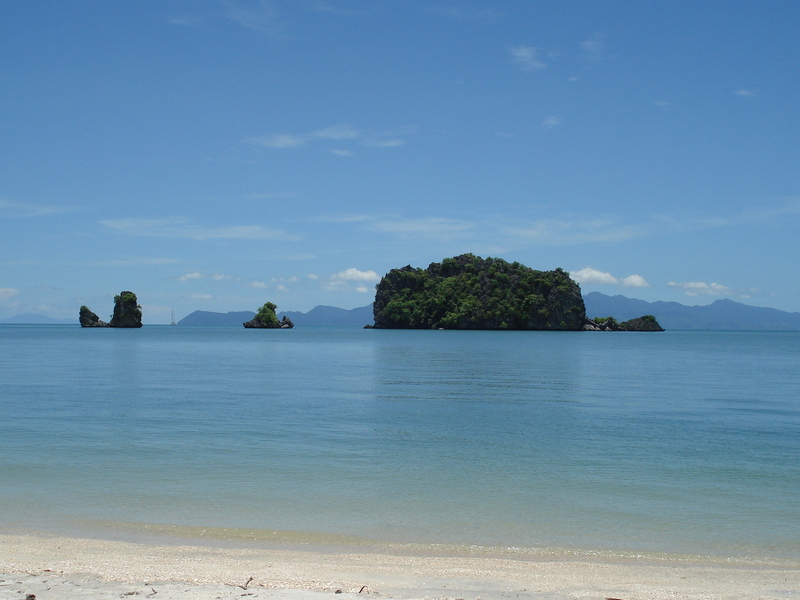 And who wouldn’t be enthusiastic about being a divemaster in Langkawi? With brilliant green seas, luscious coral, and huge schools of fish, it’s like working in paradise. Do I really need to say how freakin’ gorgeous this place is? 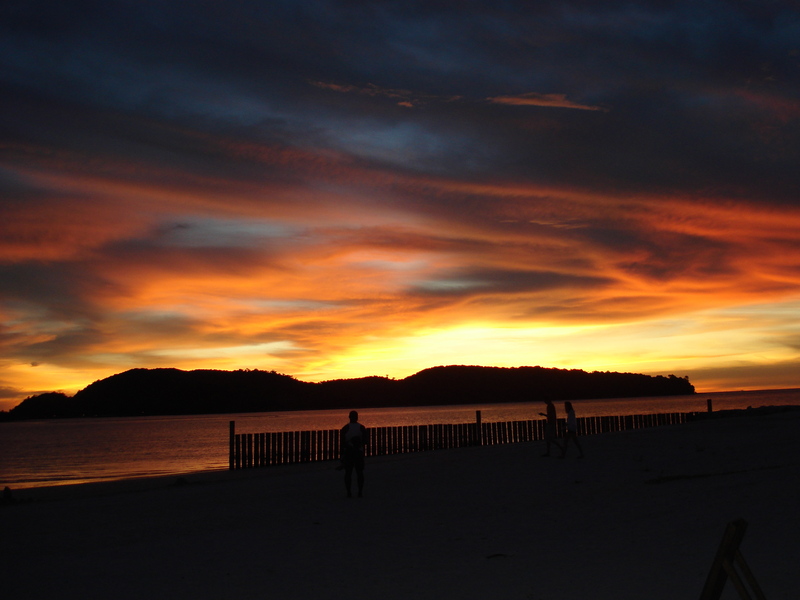 This was my first time to Malaysia and Langkawi was truly a beautiful island. The ocean is completely calm like a lake, no matter which coast you are on, and you always have some lush mountains wrapping their protective arms around you. But I have to admit, although it was beautiful, it was also a bit strange being on holiday in a tropical Muslim country. I always felt a bit self conscious being in a bikini on the beach so ended up covering up with a t-shirt so as not to offend the locals, and at times it was quite difficult to find alcohol in the restaurants. That said, Langkawi was an interesting mix of Malay, Chinese and Indian people, which meant that the food was just fantastic (and also made up for the lack of alcohol). Every meal we tried something different, frequenting the hawker centres and night markets at various locations. Sometimes the hygiene at these places are not particularly the highest, and you’re not sure about the level of cleanliness, but when in Rome, do as the Romans. And with US $1 = $3 Malaysian Ringgit, that means we ate like kings and queens for just a few dollars a day. I bet that living in Malaysia would easily help you put on more than a few pounds. 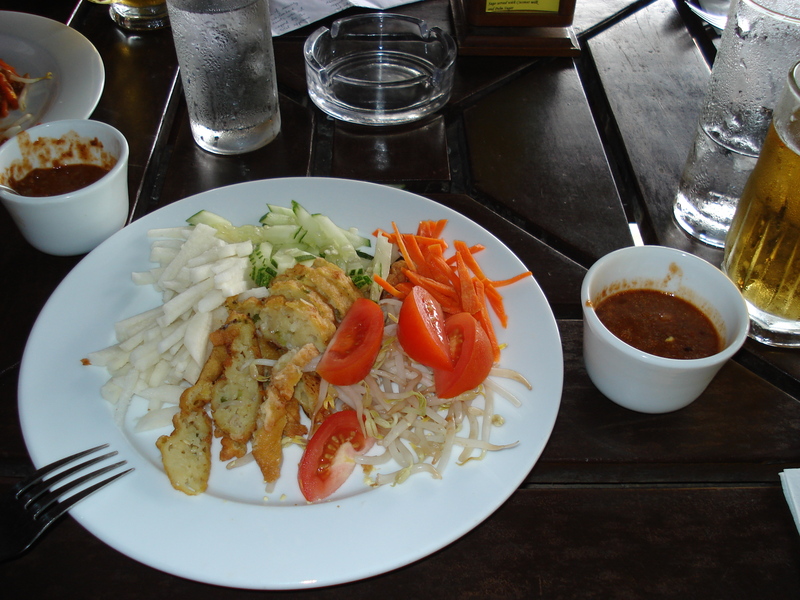 For the first few days we stayed in Langkawi’s main town, Kuah. And what a quiet town it was! Nothing opens until 10 am so in the morning it is completely deserted. But people seem to stay out eating and drinking (in the Chinese restaurants, at least) all night long. 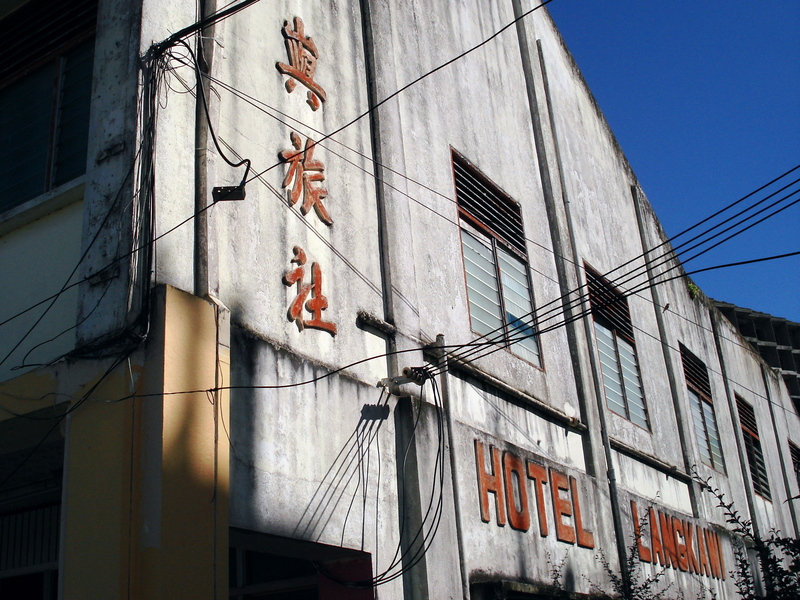 Sadly, much of Kuah was either run down or abandoned, with endless empty buildings. Even some brand new complexes looked as though the tenants simply never moved in. It was strange to see such a beautiful island where business did not seem to be booming. After Kuah, we moved to another hotel in the main tourist area, Pantai Cenang (‘pantai’ meaning ‘beach’), and much to our dismay discovered that the annual Langkawi Water Festival was starting that very day. People swarmed the beach, loud speakers blasted music, kids bought balloons, vendors sold lots and lots of cheap eats, and the traffic was endless. That’s how we decided to take a day trip to Pulau Payar for diving, to get away from the crowds (turns out we are more antisocial than we originally realised). Once the festival was over, Pantai Cenang was much more relaxed, and people were free to roam the beach at low tide, enjoying a prolonged sunset that didn’t finish until 7.15 pm. Sunburnt and happy, an ice cold bloody mary at the Beach Garden Bar was a great way to end the day. The only downfall of the trip was flying with Air Asia. I’m glad the flights are so dirt cheap, but I have to admit, that airline is so ghetto! In an attempt to be cool, they have started playing music throughout the duration of the flight, which meant I had Mariah Carey shrieking in my head at 30,000 feet. I better figure out a way to make more money so I can travel business class! Never again will I fly Air Asia. As a last note, to get back to the topic of diving, I’d like to say that anyone who has been told that Langkawi does not offer good diving is being misled. Sure, I bet it’s no Sipadan, but the diving was excellent. Visibility was very high, at least 20 metres, the wildlife was fantastic, with nudibranches, giant moray eels, massive groupers, lionfish and barracudas. 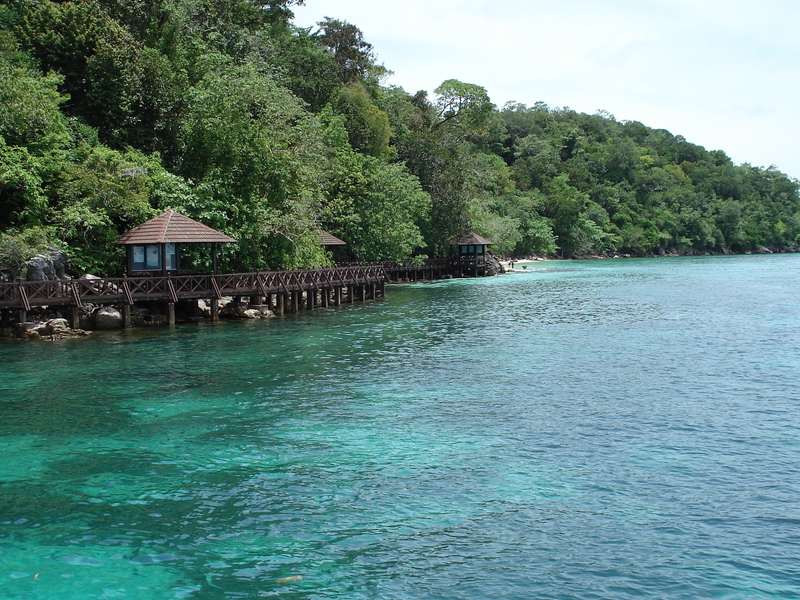 Yet Pulau Payar Marine Park has a bad reputation as being ‘not worth it’ which is apparently does not deserve. I would recommend it to anyone. But that’s just my two cents for all you divers out there who may be reading this. Next Post Guangzhou – the real China!